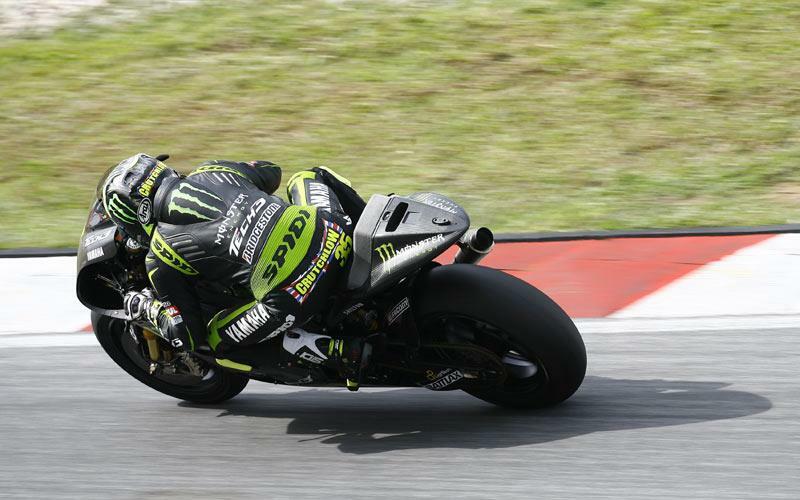 You still have chance to grab a once in a lifetime opportunity to ride the spectacular Silverstone Grand Prix track with Cal Crutchlow and Bradley Smith on March 8. MCN has joined forces with Silverstone and the California Superbike School for a special British MotoGP ticket promotion, whereby anyone purchasing at least one full adult race day ticket or full three-day ticket for the race that takes place between Friday June 15 and Sunday 17 will be automatically entered into our special prize draw. 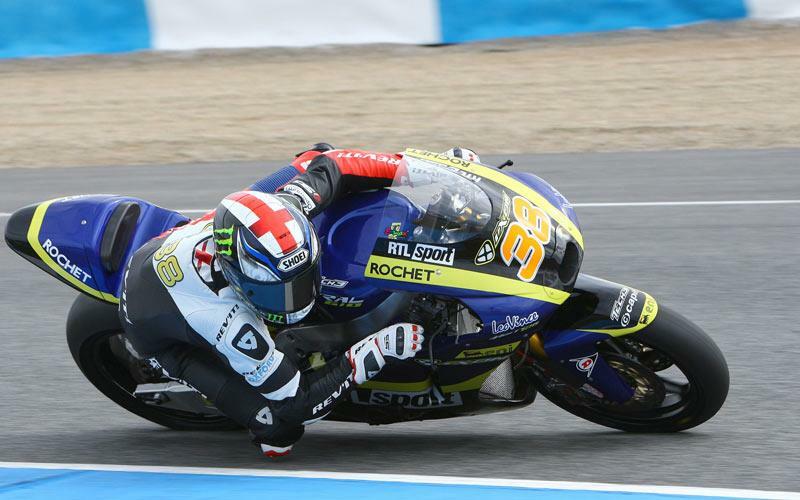 75 winners will be selected to have the chance of lapping the longest and one of the fastest tracks on the Grand Prix calendar with Monster Yamaha Tech 3 MotoGP rider Crutchlow and Tech 3 Racing Moto2 rider Smith. Simply pick up the phone and order your three-day Silverstone MotoGP ticket on 0844 3728 260 and quote MCN 0803 to be entered into the prize draw. As well as the chance to ride the jaw-droppingly fast Silverstone Grand Prix Circuit with Crutchlow and Smith, BBC pundit Steve Parrish and MCN Editor Marc Potter will also be completing laps with our exclusive winners. And on top of that, prior to the on-track activities, there will be a special Fans’ Forum session hosted by BBC’s MotoGP frontman Matt Roberts. The panel will be made up Crutchlow, Smith, Parrish, MCN Editor Potter and MCN’s MotoGP reporter Matthew Birt, who will be on hand to give you their views and opinions on the forthcoming 2012 world championship campaign. Winners will be able to then pose their own questions to the panel. Each winner is permitted to bring a guest to the event, but please note only the winner will be allowed to ride on track. The guest can attend the Fans’ Forum. All entrants must call the Silverstone Call Centre on 0844 3728 260 and book at least one adult Sunday or Three-Day ticket for the 2012 British Grand Prix (MotoGP) at Silverstone, quoting MCN 0803. Customers must provide a valid email address, as this will be used to contact all winners on 02 March. Lines open at 9am on Wednesday, February 15 and the deadline to purchase your ticket and be included in the MCN draw is 5pm, Wednesday, February 29. For full terms and conditions and further details on how you could ride the longest and one of the fastest tracks on the MotoGP calendar, see today’s issue of Motor Cycle News. * Only one entry per patron. * Winners will be drawn at random on Thursday 01 March and will be notified via email, to the email provided at the time of booking, by 17:00hrs on Friday 02 March. * Each winner is permitted to bring along one guest (non-riding) on the day. * Riders need to provide their own bikes for track sessions. Bikes must be road or track worthy with a minimum 250cc. * Riders will need to present a full valid motorcycle licence, or an ACU equivalent, on the day (photo card and paper counterpart). * Riders need to wear one piece or two piece leathers, with an all-round zip (minimum hip to hip). Motorcycle boots and leather gloves must also be worn, along with crash helmets that comply with current ACU/FIM standards. Textile suits are not permitted for track use. * Riders will get at least two sessions of 20 minutes on track. * All winners must be responsible for their own travel and accommodation. * Breakfast roll and hot drinks will be provided on arrival – hot drinks will be provided throughout the day foc. All other refreshments will be available to purchase on the day.